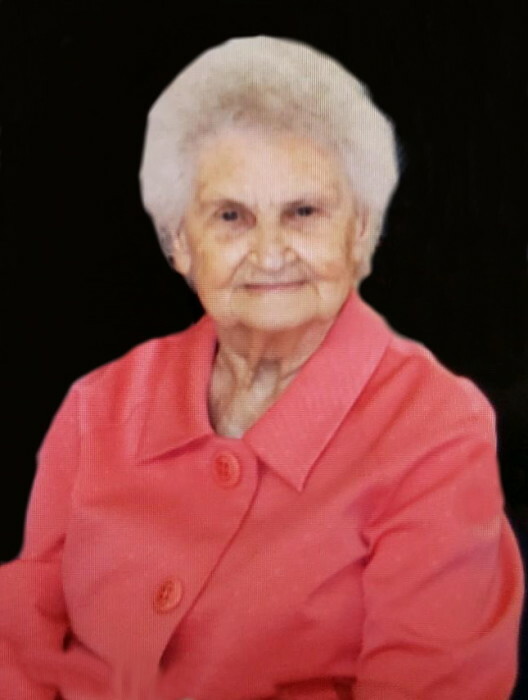 Juanita Smith Feagin, 94, wife of the late Leo Feagin, passed away peacefully at home on Thursday, November 1, 2018., surrounded by her family and friends. Mrs. Feagin was born on October 5, 1924 in Florence County, daughter of the late Barney and Marie Hatfield Smith. She was a charter member of Cades Pentecostal Holiness Church and was retired from Baxter. Surviving are her children, Cookie (Vernon) Herndon of Charleston, Raydell (Gladys) Feagin of Florence, Garry (Carolyn) Feagin of Scranton and Barney Feagin of Alabama; grandchildren, Sandy (Ray) Thompkins, Shane (Hope) Feagin, Monica Feagin, Christie (Allan) Sirois, Kerri (Johnny) Ward, Barney "Little Barney" Feagin, Gayla Feagin, Atlanta Feagin and Denise Evans; she was affectionately called "Gigi" by her seven great grandchildren, Alexa, Autumn, Conrad, Micah, Jenny, Krista and Jerrica; many great-great grandchildren; and a special friend, Barbara Driggers of Florence. Mrs. Feagin was preceded in death by two sons, Dempsey and Wade Feagin; six brothers; three sisters and her stepmother, Mary Smith. Funeral services will be 2:00 PM, Monday, November 5, 2018, at Carolina Funeral Home Chapel, Scranton, with burial to follow at Lake City Memorial Park. The family will receive friends from 6:00 – 8:00 PM, Sunday, November 4, 2018 at Carolina Funeral Home, Scranton. The family would like to extend a special thanks to McLeod Hospice Care.